Industrial Optics finishing capabilities range from a 3 micron grit to a 220 grit. Inspection is completed per MIL-PRF-13830B for standard optics and high intensity illumination for laser quality. 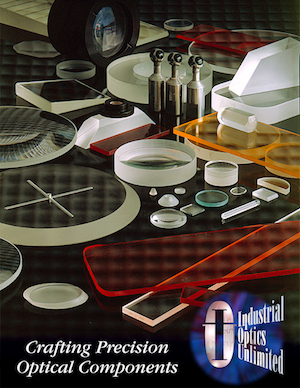 Industrial Optics polishes using pitch, pad or other techniques which can yield a flatness up to 1/20 wave on Plano work and a 10-5 laser quality surface. We use several different types of polishes so we are able to meet the most rigid optical finishing requirements that our customers require. By using a variety of interferometers, auto collimators and other mechanical inspection equipment we are able to ensure we meet or exceed the expectations of our customers. Industrial Optics can accommodate optical polishing ranging in size from 3mm to 508mm in diameter. Whether it is commercial polish, 80-50, 60-40, 20-10 or 10-5, our goal is to meet or exceed your expectations. Industrial Optics is continuously improving our process to better serve the needs of our customers throughout many different industries.